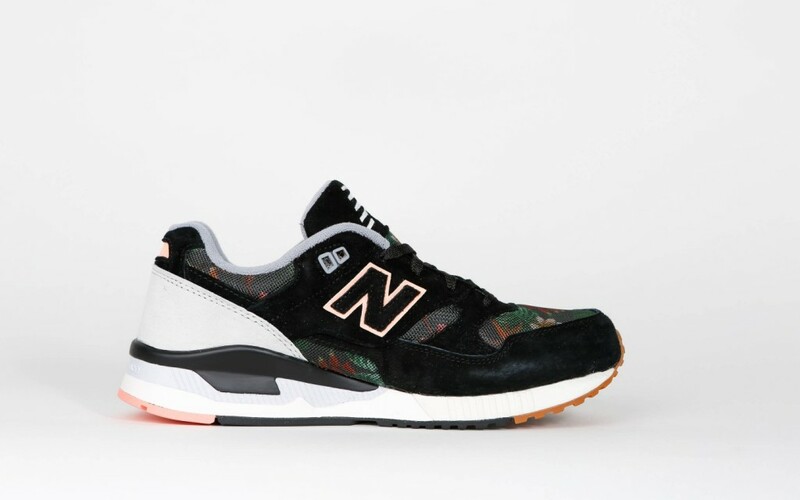 The New Balance 530 MOW is part of the well-known 530 series that got popular in the 90’s because it was the first NB runner that was made out of synthetic material. The W530 MOW is also made of light and breathable mesh and has got suede overlays that provide the necessary stability. Of course the floral pattern cannot be missed – because that’s what the Floral Ink series is characterized by. It peeps through the mesh insets and gives the sporty sneaker its feminine touch.